Dynamat & The LSiM Series??? Not long after I got my RTi setup, I removed all the drivers and applied Dynamat to the baskets and magnet covers with the help of the members here. I remember when I first played a song afterwords, I didn't really hear a difference. I was used to playing music at a lower volume level with the Rti8's because of their brightness. Once, I turned the volume up, I could hear the benefit of the Dynamat. At the time, I was using a CSi3 as a center, before buying the CSi5. I thought that biggest difference could be heard in the center channel during movies. It seemed to bring out a lot more detail in voices and had a warmer sound with deeper voices. Cost vs. benefit, I love Dynamat. I had planned on taking apart my 703's soon and giving them the same Dynamat treatment. Last night I downloaded the Info Sheet on the LSiM series from Polk's website. From the pictures, I saw that these baskets weren't the typical baskets I was used to seeing in speakers. 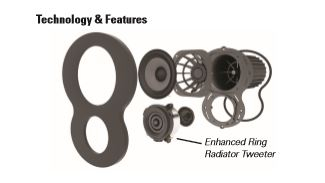 Then after reading further, I learned the these speakers use cast aluminum baskets. Since cast aluminum doesn't ring like stamped steel, are there any parts inside that are worth Dynamating? Should I leave everything as is? I have to leave for a few hours. I'll check back later to see any comments or suggestions. Thanks! Nothing to Dynamat in those speakers that I'm aware of. Glue/Powergrab any magnets would be a wise investment in time. Thanks, this is great news. One less thing I have to do this month. You know, when I got them home and was cleaning all the smudges off the outside, I noticed what a great build quality the cabinets were on the outside. The way the side wood panels come together with the top panel, the way the front piano black panel fits, just really nice quality. Looks like the innards are just as nice. Never owned a set of speakers with cast aluminum baskets before, I feel like I'm in the big time now! That's another thing I don't know much about. I've read comments about magnet shifting in threads regarding vintage speakers, but never saw mention of what causes it. 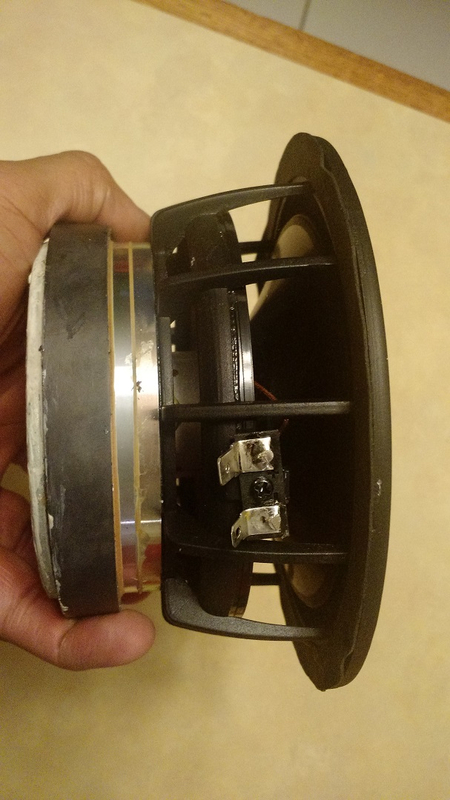 Is it due to the life span of the glue used to seat the magnets or because older speakers have been moved around more, from one home to another, transit bumps, etc.? Is there a certain age of a speaker when one should start looking into re-gluing their magnets? note: I'm very lazy when it comes to "liking", "agreeing" and marking comments "insightful". I always appreciate members answering my questions, even if I don't like or lol them. It's soooo facebook! I've rebuild a LSiM706C center channel speaker that got damaged in shipping. The drivers are heavy advanced units. The cones are light, the basket is about as open as you can get, and the ferrite magnets are large. No need to bother with these drivers. Covering those shiny surfaces will improve your SQ. I don't know cast aluminum baskets do not ring like stamped steel. What about that flesh-colored part off to the left? Those are known to have rings on occasion. Hey, thanks for the link and photo of the driver/basket. I'll read the technical brief tomorrow. I had downloaded the manual and info sheet, but didn't have the one you posted. Greatly appreciated! 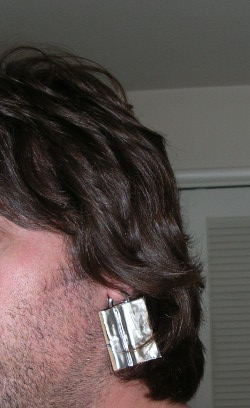 You know, I applied a square of Dynamat to my earring once to keep it from rattling during a movie. I'm a real trend setter and the chicks dig me! My hair was so short then.